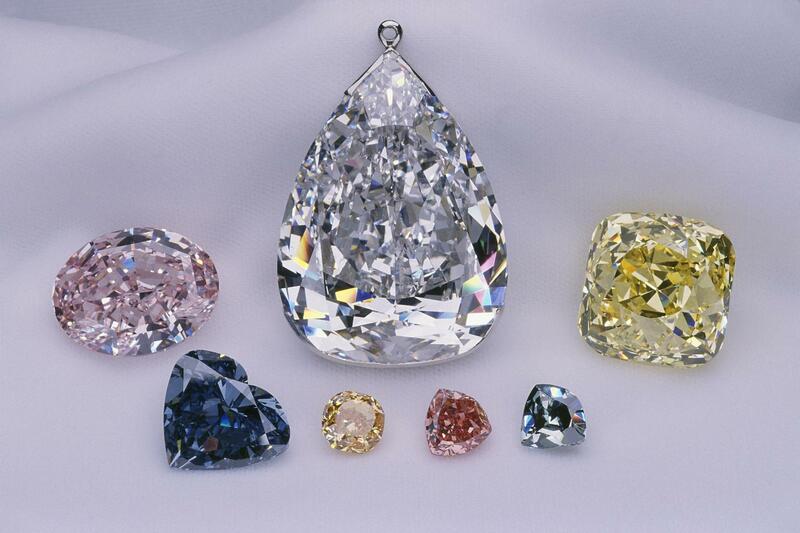 When Porter Rhodes travelled to the Isle of Wight in 1881 to show to his fine white diamond crystal to Queen Victoria and Empress Eugénie of France, who was at that time residing nearby, he helped to dispell a myth: South African diamonds were usually yellowish in color and therefore less valuable. Both the Queen but in particular the Empress, who was knowledgable about diamonds, believed this to be true and were, therefore, surprised to examine a fine white octahedral crystal originating from the Cape Mines of South Africa. It was not until the Excelsior was found in 1893, the Jubilee in 1895 and above all, the discovery of the Premier Mine in 1902 that South Africa finally achieved recognition as a source of large white diamonds as well as yellow ones. The early years of the South African diamond mining industry certainly witnessed the appearance, in unheard of numbers, of large yellow crystals, many of them octahedral in shape. The reigning Shah of Persia, Nasir ud-Din Shah (1848-1860) was among the first to appreciate them because he added numerous yellow diamonds to the Crown Jewels of Iran, the largest of which is a 135-carat monster rivalling the Regent Diamond in size and shape. A few, including the Tiffany Yellow, came from the Kimberly Mine but by far the greatest number originated in the De Beers Mine, which is the most likely source the Allnatt originated from. This 101.29-carat cushion cut its color having been certified by the GIA as Fancy Vivid Yellow, VS2 clarity, is named after its former owner, Alfred Ernest Allnatt. He wa a soldier, a sportsman, an active patron of the arts and a noted benefactor in many spheres. He paid a then world record price for The Adoration of the Magi by Rubens which he presented to King's College, Cambridge, England, as an alterpiece for its famous chapel. He also had a passion for the Turf and bought 11 yearlings formerly owned by the late Sir Sultan Mohammed Aga Khan; he commented at the time, "All I know about horses is they are nice things to amble about on." The Aga Khan also owned several exceptional diamonds, among them the 33.13-carat pear-shaped Aga Khan III, which came up for sale at Christie's in Geneva in May of 1988. Major Allnatt did not buy any of the Aga Khan's diamonds to add to his yearlings, but he did purchase this very fine diamond and in the early-1950s he commissioned Cartier to design a floral brooch setting for it. The piece is a design of a flower with five petals, lined with white baguette-cut diamonds, the petals themselves being comprised of brilliant cut diamonds, and the stem and two leaves also being comprised of the same cutting styles. The Allnatt is at the center of the flower. The entire piece is made of platinum. It was auctioned by Christies, again in Geneva, in May of 1996. On that occasion it fetched the phenomenal sum of $3,043,496. The present owner of the gem is the SIBA Corporation. 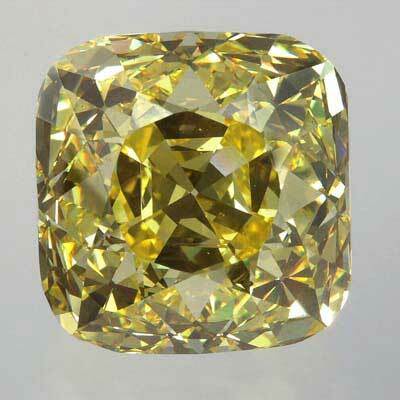 The stone originally weighied 102.07 carats but was recut in the late-1990s to its present weight, improving its color from Fancy Intense to Fancy Vivid Yellow. Millennium Star, at the left, is set in a diamond necklace. The Allnatt paid a visit to the Smithsonian Museum from June 27th to September 30th, being part of an exhibit titled The Splendour of Diamonds. The exhibit lasted from June 27th to September 15th and featured a number of other unusual colored diamonds, namely the Millennium Star, the Heart of Eternity, the Pumpkin Diamond, the Moussaieff Red (formerly known as the Red Shield), the Ocean Dream, and the Steinmetz Pink.